With the vision of positioning itself as the Hypermarket of the future, AlphaMega is constantly looking to incorporate innovative technology and solutions for their stores. Unanimously, the AlphaMega’s management team is in awe by its unique design and solutions of SM-6000. The recent installation of SM-6000EV Plus has successfully injected a positive impression to the butchery’s digital makeover. The new scales blend in with the counters effortlessly, offering another perspective of clean elegance to the store. The huge customer’s display screen provides an additional avenue to let them display customised video advertisements for promotions and branding. It keeps customers occupied and updated on the current sales promotions while waiting to be served. Being a long-time user of DIGI solutions, they are pleased that DIGI have created the new standard of using only linerless labels for SM-6000. They commented that it has helped to reduce both logistics and storage cost while allowing them to enjoy flexible label designs. Furthermore, the high resolution 15” customer display has proven to be a great channel to engage customers while they are waiting to be served. Operators can now opt to play videos or advertisements for their ongoing promotions. Additionally, they can opt to play both advertisements and videos together in one screen setting, another new standard for the industry. The new operator's screen with capacitive touch now allows operators to perform transactions even when they are wearing gloves. It also allows them to scroll along the pages efficiently, minimising operational downtime. 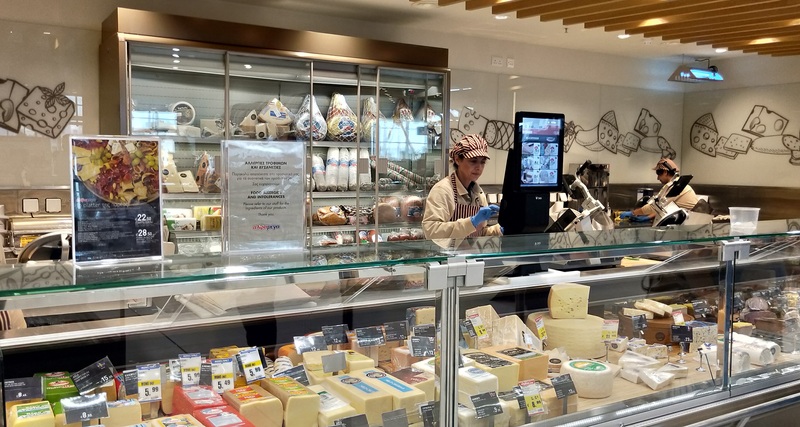 The upcoming installations of SM-6000 for AlphaMega hypermarkets will also include solutions like Speed ID, e.Labels with Hi-Touch and multi departments queue system.